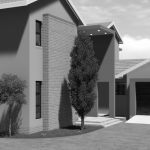 A definition for Forensic Architecture per sé couldn’t be found, as this is yet a relatively new field within the architectural profession in South Africa. Wikipedia defines forensic science (often shortened to forensics) as the application of a broad spectrum of sciences to answer questions of interest to a legal system. What remedial action is necessary, and at what cost? How can a repeat occurrence be avoided? materials, products, structures or components that failed, or do not operate or function as intended by its designers, and caused or may cause personal injury or damage to property. Although the word ‘forensic’ is more often used in CSI (crime scene investigations) and pathology, it has a somewhat different meaning when it comes to the Built Environment. In most people’s minds, architecture as a discipline is associated only with the design of buildings, but there is a certain field within architecture that involves itself not with the “aesthetics” (appearance) of a new building, but with the completed structure and its ongoing operations to ensure longevity of the building and the safety of its occupants, or the failure of such building to comply to regulations, standards or the intentions of its designers, whether it be functional or structural failure. 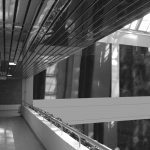 It is a science that addresses the Built Environment’s well-being in much the same way as medical diagnostics addresses the well-being of the human body. Forensic analysis of a building can also be described as building diagnostics or investi gative architecture, in which professionals apply their technical expertise and scientific methodology to find the cause/s of failure, to determine responsibility, and to recommend remedial steps towards rehabilitation. The forensic architectural/engineering professional will be required to be registered with the South African Council for the Architectural Profession (SACAP) and /or with the Engineering Council of South-Africa (ECSA). The forensic professional is charged with inspecting and testing of the entire building envelope and interior. He/she will not only check for Code compliance, but also that the building conforms to approved building plans and specifications. epth inspections of systems outside the scope of the forensic architectural professional’s specialization, will require bringing in other forensic experts / specialists, such as structural engineers, mechanical engineers, geo-technical, plumbing, fire experts or electrical experts. There are no formal academic training courses to become a forensic architect in South Africa. 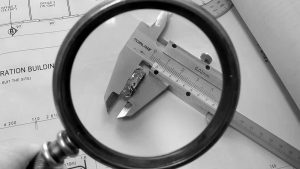 Only through many years of practical experience can architectural professionals equip themselves with the contextual knowledge and expertise to do forensic investigations, technical reports and be recognised as an expert witness in court cases. Building failure is not always the visible collapse of the structure. Building failure takes on many forms, from roof leaks to rising damp, sewer blockages, water penetration or intrusion. Cracked walls and uneven floors, jammed doors and windows, tiles falling off are all indicators of underlying problems that need investigation. However, building failure is not limited to structural problems. Problems may also arise when a building fails to comply with set standards or regulations that may give rise to health and safety issues of its occupants, and put the owner and / or contractor at huge financial risk. 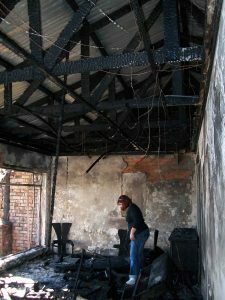 The Bill of Rights of South-Africa states that “everyone has the right to an environment that is not harmful to their health or well-being” and the National Building Regulations and Standards Act 103 of 1977 determines that an owner is responsible for the upkeep and maintenance of the building. 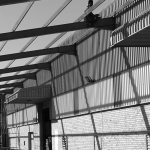 This places a huge responsibility on the building owner, as the occupants may have a legal case against the owner when their health and safety is at risk. The Consumer Protection Act that came into effect on 1 April 2011 will definitely lead to more claims against contractors and professionals. These claims will often require the services of a forensic architect. A forensic architect is a professional consultant who understands every stage of the evolution of a building’s life cycle, from concept to structural completion, its functional operations, right up to the end of its useful life. Armed with this knowledge, professional honesty and investigative testing methodologies, the forensic architect is able to determine the exact cause of building failure, when in its life cycle the problem originated, and the responsible legal entity that can be held liable not only for the repair and restoration of the property, but also for damages due to the death, injury or health risks of occupants. The forensic architect will also make recommendations for the repair and rehabilitation / restoration of the property. 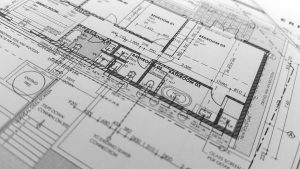 In addition to providing building failure analysis and remedial repair planning services, forensic architects may also act as expert witnesses, providing testimony in court cases. The forensic architect has the qualifications, experience, practical knowledge and equipment to determine the real cause of failure which will be critical when recommending the most appropriate and cost effective repair. There is a common belief that people will always speak in favor of the one who pays the bill. In forensic investigations the outcome will only reflect the absolute scientific proven truth, and will not always be in favor of the client. Therefore, a substantial deposit is usually required to be paid upfront before the onset of the investigation, as clients are reluctant to pay the professional if the outcome is not what they expected. 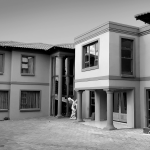 The forensic architectural professional has a responsibility to protect the reputation of all parties involved, until the investigation is complete. Dissenting viewpoints among competent forensic specialists are not uncommon, as there are always more than one method to solve a problem. JOHAN NAUDE ARCHITECHNOLOGY will not accept an assignment if there may be conflict of interest, or if the client pressures for a certain favourable outcome, or needs the investigation to support a certain view point. We will always seek the unbiased and objective truth, even if it is not in favour of the client. Slip and trip accidents – slip analysis of walking surfaces, flooring materials, maintenance and cleaning, stairs, ramps, unmarked slopes, misaligned horizontal elements and inadequate lighting. Analysis of facilities provided for disabled people – access ramps, door swing, ablution facilities, ergonometry, grab rails etc. Property safety – Analysis of escape routes and fire protection methods, hand rails, balustrades, free head room, floor surfaces, refuse management, swimming pool safety, sewer spillage, electrical, lighting and ventilation. plumbing, roofing, masonry, foundations, walls, water intrusion / penetration. obstacles, turn around space and traffic signage. 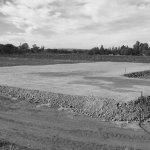 Storm water – disposal, drainage, erosion. Site analysis – review of site conditions, ownership, land-use, zoning, allowed coverage and bulk, parking, pedestrian circulation, access, underground and overhead services, servitudes, right-of-way’s, road reserves, restrictive conditions, building lines, contours and slopes, underground /mining rights, storm water, flood lines and soil tests. Expert technical witness – eye witness reports, photography, collect and preserve technical evidence, expert witness testimony in court, or assist legal practitioners with technical terminology. Forensic aerial photography – study and interpretation of aerial photographic evidence. Dispute resolution – contractual disputes between professional and client, or between contractor and client. A two year old girl fell through a window on the fourth floor of an apartment building, sustaining serious injuries, when the glass pane of the window fell out of its frame at the slightest pressure exerted by the girl’s weight leaning against it. The window putty that was about 60 years old hasn’t been painted over since initial installation. It became brittle over time and failed. The family sued the landlord for all medical- and other costs incurred. Forensic investigation proofed that the landlord didn’t have a proper maintenance program and now faces charges of negligence. Historical building analysis, evolution, structural integrity and condition of components, dating of materials, as built survey and plans for specialist renovation architects. removed, minor repair work – problem solved. Owner wanted to have foundations jacked at huge cost, which after proper investigation, was not necessary. Persistent leaking of flat corrugated sheet metal roof after being repaired several times before. Forensic investigation proofed sagging of rafters, rotten purlins, slope too shallow and poorly installed metal flashing along parapet walls. Roof construction repaired and strengthened, flashing sealed and repaired. Paint flaking and peeling – caused by poorly installed window sills and damp proofing. Rising damp – caused by damaged damp proof course during construction. Contractor found liable to repair and make good all damages. Frequent flooding, damming of rain water, poor drainage. Forensic survey showed that residents blocked natural flow with flower boxes and gardening. Rain water subsequently allowed by residents to enter sewer drains at open gullies, causing sewer blockages due to hydraulic overload. The cause was removed, underground drainage and open paved furrows installed – problem solved at relative low cost. (a) Collapse of concrete footings due to soil erosion – poor maintenance. (b) Timber floor sagged, doors and windows jammed – investigation founded that inferior joist size and wrong spacing between joists. Underqualified / inexperienced draughtsperson and contractor found liable for damages incurred. Complains to municipality by surrounding owners about excessive noise and refuse dumping. 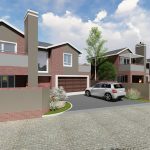 Building owner was forced to remove illegal structures, apply for rezoning, submit building plans according to National Building Regulations, restore / renovate building, rehabilitate and provide proper facilities, all at owner’s expense. After the client bought an incomplete house on an insolvent auction, he wanted to add on while completing the existing structure. The municipal main sewer was struck while digging foundation trenches for extension. (a) Previous owner did not use correct survey beacons during setting out operations. (b) Contractor deviated from approved building plan, by extending the building by 1metre on owner’s instructions, causing it to encroach onto municipal servitude. (c) Civil engineering contractor for main sewer deviated from engineer’s drawings by cutting short a proposed dog-leg angle, causing the sewer to actually run outside the servitude. Owner claimed from insurance as a result of “lightning strike”. 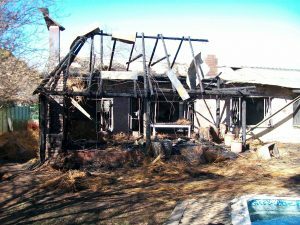 Forensic investigation showed that the actual cause of fire was a short circuit in poorly installed DIY electrical wiring in roof structure. Claim rejected by insurer.